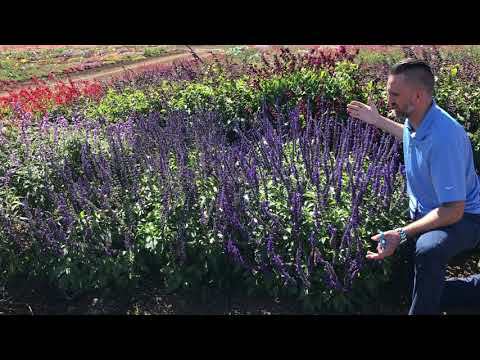 This impressive salvia offers excellent Summer garden performance, with longer flower hold for a brighter blue flower color in the garden. A premium variety that can command a higher price point. The sturdy, dark green-leafed plants are naturally compact, well-branched and very free-flowering. 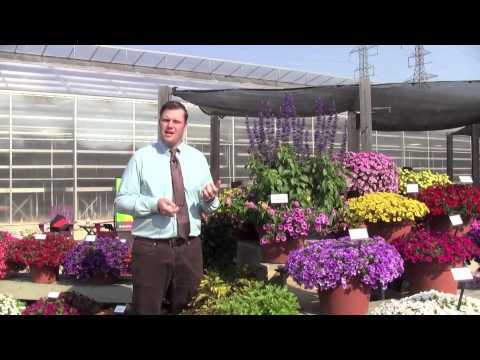 Heat-hardy plants are great for late Spring/Summer programs. This dwarf ‘Indigo Spires’ type is well-suited to landscapes and mixed containers. Comments: Apply B-Nine (2,500 ppm) spray in propagation once between Day 9 and 11. Reapply after transplant if growing under long days. Plant Growth Regulators (S) = spray / (D) = drench: Responsive to B-Nine 2,500-3,000 ppm. Increase rates as days lengthen in late Spring and Summer. Comments: Regularly allow the media to dry moderately between waterings, especially in cool periods. Proper pinching and moderate feeding will improve habit and flowering.